Dear client, thank you very much for your lovely review and the 5/5 you gave us. 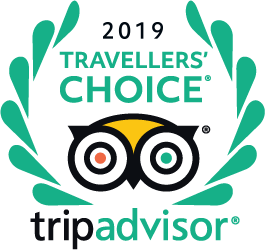 It is wonderful to hear that you liked our small, family-run and authentic Bavarian hotel as well as our good service. We are happy we made your stay nice and convenient. We certainly help every client with any questions and wishes, please just let us know and we will do our best. Hospitality means indeed everything to us and it will always be as long we are here even with all the technology and changes nowadays. It is just part of our daily job and the heart of the hotel business. Our hotel is supposed to be a home away from home for our many travellers from all over the world like you. It is important for us to take as much time you need to feel happy and comfortable and just make sure you do not miss any highlight during your stay. You will always find the best available rates on our hotel-own homepage and you will also get a free drink at our bar. We are looking forward to the pleasure of welcoming you again soon and to provide you with another wonderful stay. Best regards from sunny Munich and Nymphenburg Palace, Alexandra and Sebastian with the entire Laimer Hof team. Dear client, thank you for your lovely and positive review. It is wonderful to hear that you enjoyed a truly excellent stay and liked our small and authentic Bavarian hotel, as you said our "little castle" as well as our good service, our lovely breakfast and the free parking. The listed building from 1886 is exceptional in Munich as well as the location directly at the Nymphenburg Palace in a quiet and safe upscale residential neighborhood. It is very important for us to take as much time you need to feel happy and comfortable and just make sure you do not miss any highlights during your stay. You will always find the best available rates on our hotel-own homepage and you will also get a free drink at our bar. We are looking forward to the pleasure of welcoming you again soon and to provide you with another wonderful stay. Best regards from sunny Munich and Nymphenburg Palace, Alexandra and Sebastian with the entire Hotel Laimer Hof team. Hotel carino con stile barocco. Siamo stati a Monaco di Baviera è abbiamo trovato questo hotel dietro il castello di Nymphenburg,ci siamo lasciati fidare a provare la loro colazione e posso dire che non è male. Dear Luca, thank you very much for your 5 star review you gave us. How wonderful to hear that you had a great time with us in our family-run hotel and had a relaxing holiday. We appreciate your lovely comments. The location of the hotel in an exclusive neighborhood direct at the Nymphenburg Palace with its many park palaces and museums is indeed unique in Munich, just romantic and very safe. We want our clients to enjoy a real authentic and genuine Bavarian experience. You will always find the best available rates on our hotel-own homepage and you will also get a free drink at our bar. We look forward to welcome you back again and wish you a nice week. Best regards from sunny Munich and Nymphenburg Palace, Alexandra & Sebastian with the entire Laimer Hof team. L’hotel è piccolo e molto curato, camere e ambienti comuni puliti e accoglienti. Si trova a circa 15 min a piedi dalla U banh, in zona tranquilla anche di sera. Il personale è veramente cortese e molto affabile. Dear client, thank you very much for your nice review. We would like to thank you for having taken the time to share your positive experience and to support small family-run hotels. We are pleased to know that you had a wonderful stay with us and enjoyed the perfect location. The hotel is unique in Munich and we want our clients to enjoy a real Bavarian experience. We love our daily work with our clients like you from all over the world. It is like having your family with you every day and we can not imagine doing anything else. You will always find the best available rates on our hotel-own homepage and you will also get a free drink at our bar. We look forward to welcome you back again and wish you a nice week. Best regards from Munich and Nymphenburg Palace, Alexandra & Sebastian with the entire Laimer Hof team. March weather can be cool and we, around mid fifties (Fahrenheit). Most of the nearby attractions are open year round so that is not a problem. "la nostra era al piano terra ma consiglierei i piani alti"
"la stanza più alta dovrebbe essere la migliore"
"il posto è molto silenzioso su tutti i lati"
"Noi siamo stati al secondo piano. Stanza silenziosa e fresca (luglio 2015 è stato particolarmente afoso anche in Baviera)"
"secondo piano 25 e 26, sono le due torrette, molto belle e spaziose"